We’re kick-starting the Grand Final Day celebrations on Friday at the Mail Exchange Hotel. So, if you’re in Melbourne for the Grand Final Day Parade, drop into the Mail Exchange Hotel – we’ll have a cold one waiting for you. 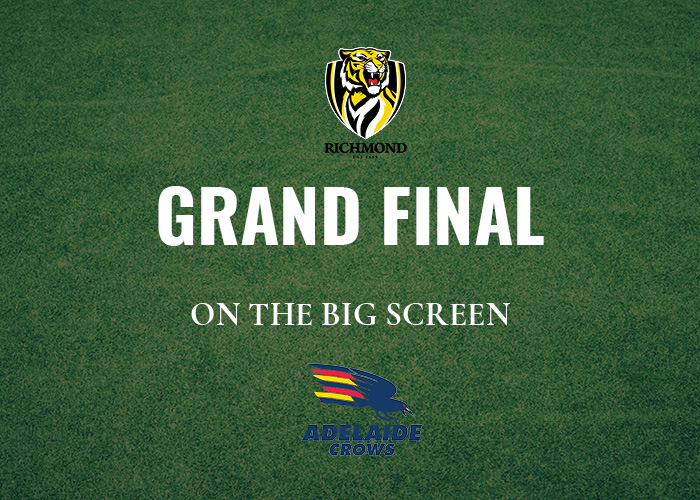 On Saturday, if you’re not heading to the MCG, get the best seats in the house, right in front of the Big Screen and be part of the action! Remember to get your colours on, gear up to watch the Tigers take on the Adelaide Crows.